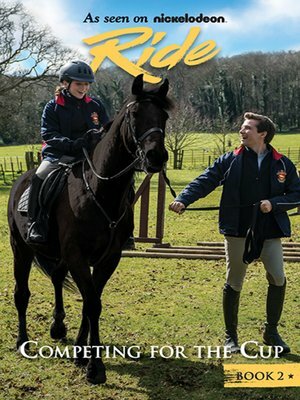 Horse-loving American teen Kit Bridges is in it to win it when her new boarding school's House Cup competition begins. Fourteen-year-old Kit Bridges is slowly growing accustomed to her new equestrian school, the illustrious Covington Academy, and life as an American teen in England. But it's not easy finding a new normal since her mother's death, especially when it seems like her dad, Covington's riding instructor, might be starting to move on. She'd confide in her new friend, Anya, but Anya's been acting so odd lately — almost like she's hiding something. Not to mention all those confusing British boys, including one who's been sending Kit notes in secret. Kit knows she can count on the connection she's made with her favorite horse, wild, unpredictable TK, but he's just one mishap away from being sent away from Covington — and Kit — forever. With the quest for the House Cup under way, tensions among students are mounting. Who will ride to the top? And who will end up underfoot? Bobbi JG Weiss is a freelance writer who, along with her husband and writing partner, David Cody Weiss, has written everything from picture books and novels to online games, comic books, and graphic novels. She lives in California.